Innovations in robotics was the theme that the recent Hardware Pioneers event was exclusively devoted to. With these regular gatherings of technology’s movers and shakers now starting to be more spread out - staged in cities across Europe and North America too - the motivation for me to attend one of the London events was markedly intensified. As always, the venue was full and the atmosphere filled with energy. By: Mark Patrick, Mouser Electronics. Opening the show was Luca Cattaneo, one of Microchip’s Senior Principal Engineers. He focused on how programmable logic technology would be instrumentalin enabling the autonomy exhibited by robots and drones to reach new heights. With real time operation being essential in many robotics applications, as well as in future self-driving cars, acquired image sensor data will need to be dealt with locally, rather than time being taken up transporting it back to the cloud from decisions to be made on the best course of action. Artificial Intelligence (AI) will call for the building up of relevant training data, and the application of sophisticated algorithms, before well-orchestrated evaluations can be done. The constrained settings in which all this will take place need to be taken in to consideration. Enough processing must be done to ensure that the right decisions are made, but while not taking up too much time and resources, or draining excessive battery. FPGAs are showing themselves to be highly optimised for AI deployments, providing the processing capabilities required for AI inferences, but with much greater flexibility than traditional standard cell ASICs (which have to be redesigned from scratch if there are any changes to the system) and better power efficiency than Graphic Processor Units (GPUs). In many situations, Microchip’s PolarFire devices, with their high performance DSP blocks and built-in inference engines, can take care of object recognition work without needing a heatsink or significant peripheral components to accompany them. Though we may have thought otherwise, a very high percentage of the world’s manufacturing is still predominantly manually based (most estimates putting it at 93-95% of global production output). The high level of financial initial investment, plus the considerable time and effort associated with implementation, have been responsible for slowing down the adoption of robotic equipment, especially in developing countries where labour is still relatively cheap. Mostafa El Sayed, Co-founder of Camden-located start-up, Automata Technologies told the audience, that the robotics market is at the moment defined by two extremes: at one end there are robot arms which are effectively just for fun (usually costing around £1,000-1,500), then at the other end there are complex industrial models (which will normally set companies back £20,000-45,000) which are way outside most budgets. Currently there isn’t really anything in between, and this is really holding things back. It puts up a barrier to many factories facilities, while in some cases it leads to expensive hardware being allocated to jobs that don’t utilise the full scope of functionality being offered (but are instead complete overkill). Mostafa’s team are looking to change all that, and encourage greater uptake of robotic technology. 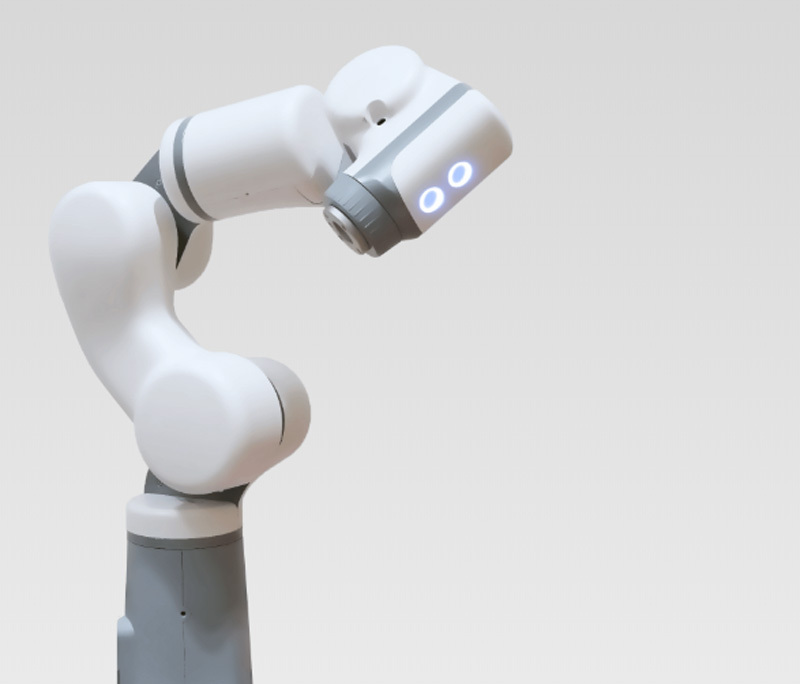 Retailing at below £5,000 and with a set up period of only 15 minutes, Automata’s Eva robot arm is targeting the middle ground - and helping to make robotics easier and more affordable. Eva units can each carry a 1.25kg payload and have a 600mm maximum reach. These robots may be employed to undertake repetitive menial tasks - such as touchscreen testing, industrial etching, or machine tending. A total of six joints are incorporated into the design, to deliver greater versatility. Despite their low cost, they still have the AI capabilities to differentiate them from competing solutions that are actually in a higher price bracket. This means that these robots are, for instance, better at replenishing and quality control tasks, as they are able to allow for variation in item orientation and make allowances for this. 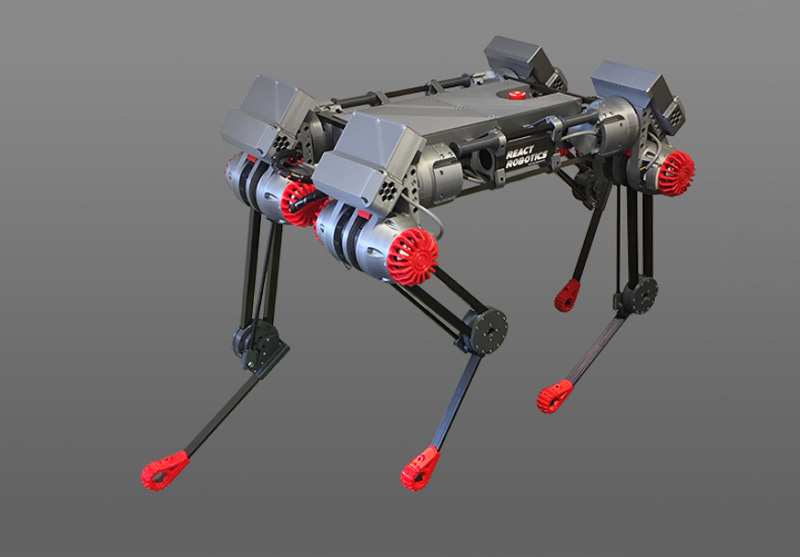 Though it was somewhat impromptu, Gregory Epps, the CEO one of Automata’s engineering partners React Robotics, gave a brief demonstration of the technology behind their open source quadruped robot platform. Known as Dogbot, this presents engineers with a foundation on which to produce cost-effective AI-enabled robots. Weighing less than 20kg, the robots derived have the AI to negotiate a broad array of different challenging environments. A multitude of I/Os are embedded - including USB, EthernetCAT and CANbus - in order to offer greater design flexibility. The lightweight construction employed means that these robots draw less power and thus retain their battery charge for longer. All the software elements are available to download through GitHub, so engineers can build their robot around React’s 20kHz motor control unit using their own components, then do the necessary coding in ROS, Python or C++. Alternatively, they can purchase a kit to 3D print a robot, with all the constituent electronics and core software encompassed. The company will be announcing a biped humanoid version of the platform later this spring, with actual robots available by end of the summer. Unlike Automata’s Eva, the anthropomorphic robot hands that have been developed by Shadow Robot aren’t meant for us humans to offload activities just because we don’t want to do them. This company’s products are designed to carry out tasks that are basically too dangerous for humans to deal with. As its Managing Director, Rich Walker, explained - the UK’s nuclear decommissioning programme (based on the current sites either coming to the end of their operational life or already no longer in service) needs around £70bn of government funding and could take almost 100 years to complete (with other counties finding themselves in very similar situations). A lot of the work involved is dependent on operatives using glove boxes. These can prove problematic when trying to manipulate objects - thereby slowing down progress. Also, they can only be utilised by the operative for relatively short periods of time (depending on the radiation levels), so as to prevent exposure to unacceptable dosage levels (meaning that more staff are needed). Even then, there are potential safety risks to consider (with accidents still happening on rare occasions and lives being put in danger as a result). The procedure for disposing of contaminated gloves is an expensive one too, and therefore needs to be factored into the equation. The company is consequently collaborating with numerous organisations within the nuclear industry to automate a larger proportion of these tasks. Closely mimicking human hands, every one of Shadow’s robotic hands systems has 20 actuated degrees of freedom. They feature highly accurate position and force sensing, along with ultra-sensitive touch sensors at the fingertips. Through these sensors, next generation tactile feedback can be realised, tasks are executed correctly and with the required manual dexterity, whilst eliminating risk and simultaneously elevating time efficiency. Shadow’s proprietary Grasp Stabilisation and Control (GSC) technology allows users to select which object they want the robot hand to grasp. A recognition algorithm is then initiated and the object identified from a database of objects that were learnt prior to this. Once the object has been determined, a list of pre-computed grasp profiles is loaded so that an optimal approach can be taken. Through the use of high speed networking infrastructure, low latency operation is now also being supported, thus there will be the possibility for emerging applications to be addressed, like tele-surgery, etc. 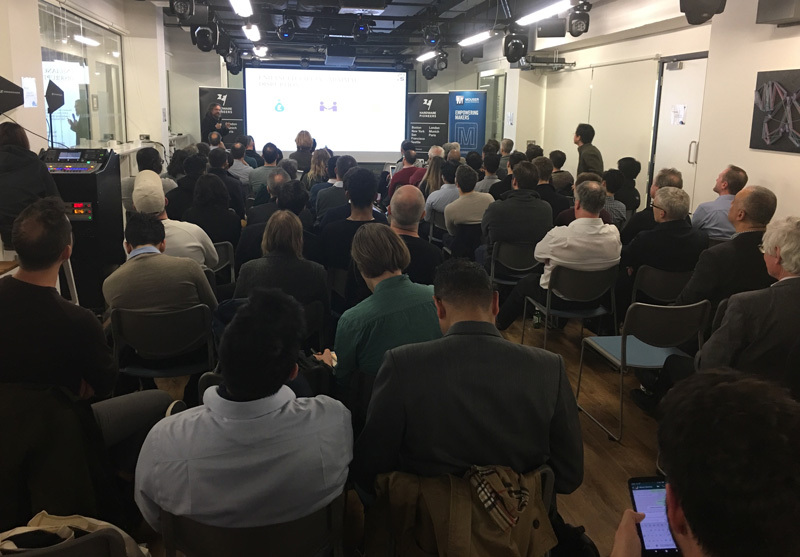 The next Hardware Pioneers event will be about building smarter IoT products with edge AI, in London on 23rd May. If you have the opportunity, I would recommend that you go along. Click here to sign up!